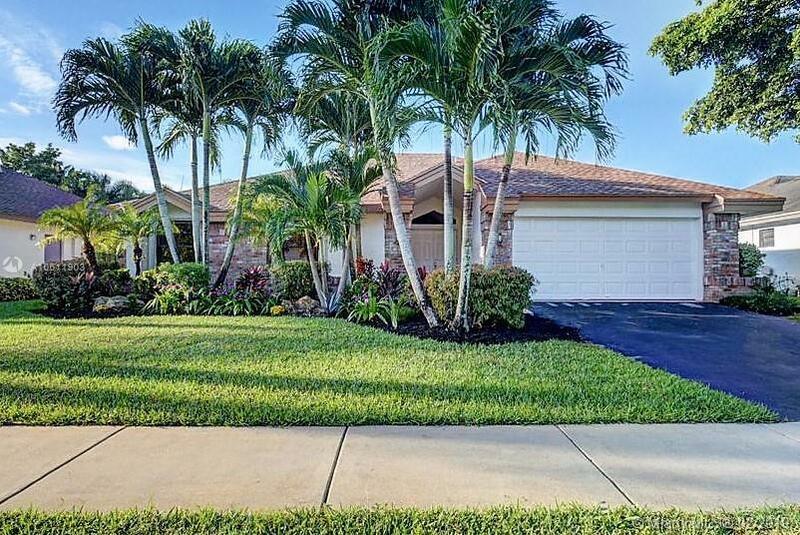 Barrington at Boca Chase 4/2, Family Rm, 2CG. Fully renovated, this home features marble flrs thruout, new plantation shutters, modern open floor plan, volume ceilings and Smart recessed lighting. The spacious updated kitchen boasts fine wood cabinets, high-end stainless steel appliances, granite countertops and decorative lighting. A separate den/family room offers added space for lounging, office or playroom. Double door entry to elegant master suite, remodeled master bath w/dual sinks, separate shower & large walk-in closet. Three addt'l bedrooms & a 2nd remodeled bath complete this home. Recent updates include a new A/C (2018) & water heater (2017). Enjoy the beautifully landscaped, private backyard & relax on the new expansive pavers patio. This gem of a home is move-in ready!